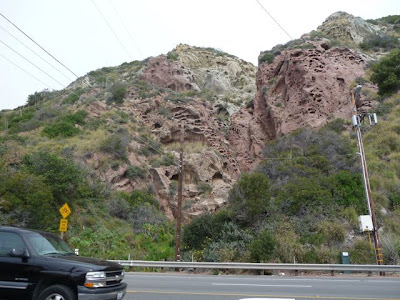 Driving up the Pacific Coast Highway in Malibu you'll find some amazing rockwork in a small canyon along the Pacific Coast Highway. Same spot, but just a wider angle. I have no idea whose car that is. 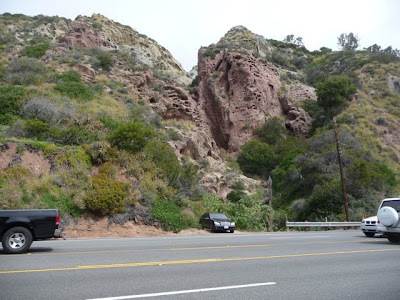 Another creative Malibu parking spot? Another angle. 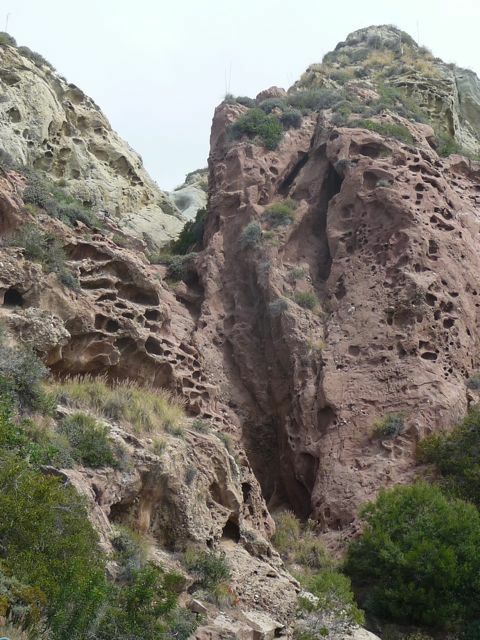 Calling it a canyon is probably too generous. 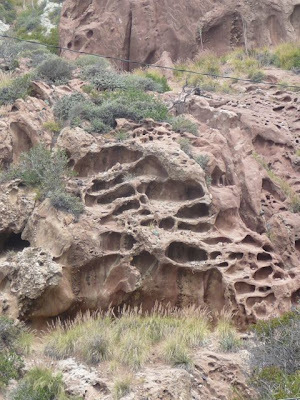 So what's a little canyon like this called? A wash? Standing at the same spot, but looking up the Coast Highway. I walked across the street. 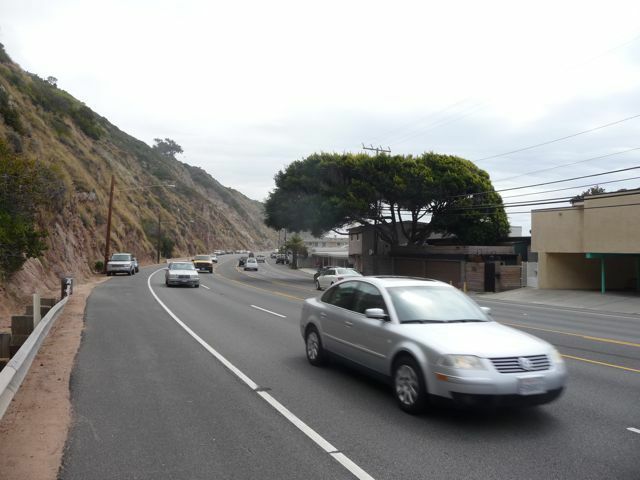 This is looking down the PCH the other direction back towards the city of Los Angeles. 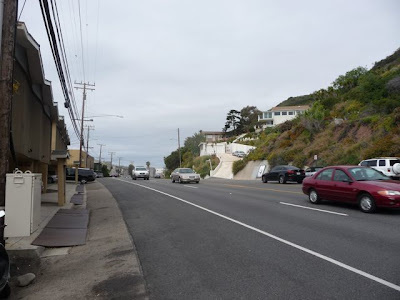 This section of Malibu has dozens of small "mid-century" apartment buildings along the narrow strip between the PCH and the ocean. If you want to find the big fat daddy mansions, you'll have to go a little farther north. Here's a little peak between two apartment buildings. 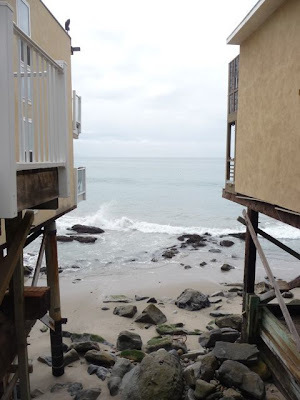 The entire California coastline is technically open to public access below the mean high tide line. 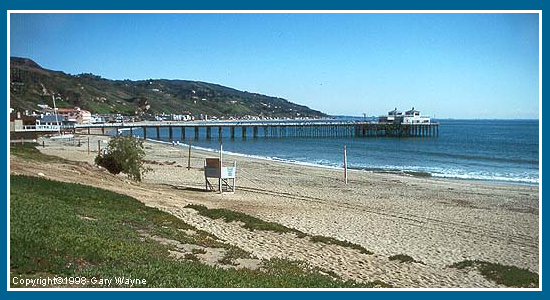 Obviously, there are much easier spots to enjoy the beach in Malibu - like Surfrider Beach (above) just a few more miles up the coast. Here's a link to some of Malibu's best hidden beaches. A final look. An amazing little spot - very cool rockwork. But as the beach is the real draw here, this feels more like the back side of Malibu. The location is 20656 Pacific Coast Highway, Malibu. 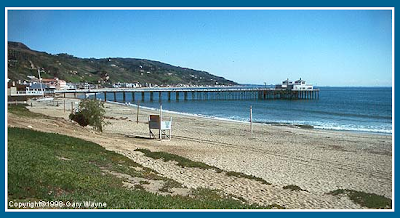 Here's a link to the city of Malibu's website. 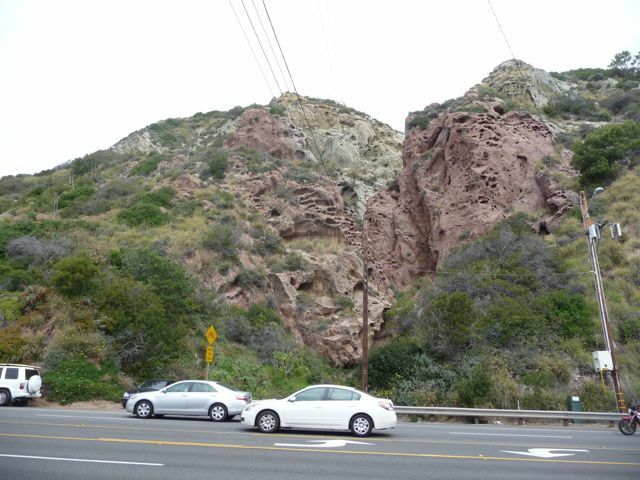 So cool - how did I miss that when we drove through Malibu? Guess I had my eyes on the road!